Ben and Bryon get Harley Peyton’s reaction to the return of Twin Peaks and John Thorne and us discuss Part 1 and 2. Ben and Bryon talk with Gary Bullock, John Thorne, TWBD podcast, The Sparkwood and 21 podcast and Scott Ryan. 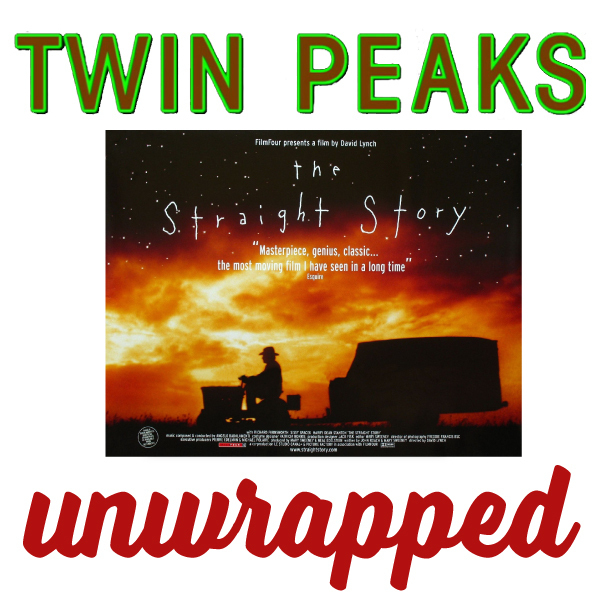 Ben and Bryon talk David Lynch's The Straight Story with Joel Bocko and John Thorne. We celebrate our 100th show! Messages from listeners and friends of the show and we make predictions about the return of Twin Peaks with Mark Givens from Deer Meadow Radio podcast.